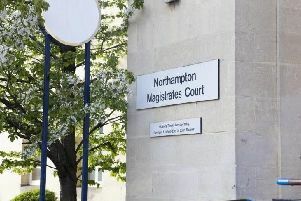 A teenage girl was left with a broken collarbone after being hit by a car in Northamptonshire which then failed to stop. The 16-year-old victim was crossing High Street, Irthlingborough, shortly after 3.15pm on January 27, at the junction of Hayway, when she was in a collision with a silver vehicle. She rolled on to the bonnet of the vehicle and then off into the carriageway and suffered a fractured collarbone as a result. The vehicle, which was travelling from the direction of Wellingborough, continued without stopping. Police would like to speak to anyone who may have witnessed the incident. Contact police on 101 or Crimestoppers anonymously on 0800 555111.